The Court of Protection rules and regulations are very complex. However, this short guide should give you an idea of your roles and responsibilities when applying for deputyship, or appealing a decision in the Court of Protection. It will also outline some advice and guidance as to things you should be doing before and during the process to ensure it all goes smoothly. Before applying to the Court of Protection, we recommend that you discuss it with yours and your loved one’s family members. It sounds obvious, but it is better to find out that they do not approve of the order prior to applying for it! If there is a dispute, there is the option of having a joint protection order. This often applies to families where there is more than one child. If you have any queries about whether you are able to apply to the Court of Protection, or whether you should apply or not then do not hesitate to contact us. We are experts in the Court of Protection, we have many years of experience and we aim to secure the best possible outcome every single time. There are several other forms which must be accurately filled in before the application is made to the court. More information about that can be found on our Court of Protection Forms page. The final stage will be to contact a doctor to fill out form COP3 which is the mental capacity form, this is done after a doctor makes an assessment. We will be able to arrange for the doctor to do this. Once this is completed, the application will be sent off to the court. Once we have received confirmation of the application there are a number of actions which must be taken. All the people who have an interest which were listed in the original application to the court must be notified of the application. This involves giving them a copy of the application and the evidence which coincides. They must also be served with a blank COP5 form. This must be done within 14 days of the receipt of the application confirmation. One slightly more difficult responsibility you will have is to inform P of the application, this can be done by yourself, but you must handle them the same as any other interested party and then try to explain, what the application is for, and why you are completing the application. We appreciate that this may be difficult, however it is essential that it is completed. Once all the relevant parties have been informed, form COP20B must be completed and returned to the Court of Protection. Each of the relevant parties will have 14 days to respond to the application from the point at which they were served with it. Thus, the COP will not be able to proceed with the application until the statutory waiting period is over. Once the waiting period is over; if there are no issues identified by the informed parties, then an order will be issued (assuming the rest of the application is acceptable). The court will then issue 8 copies of the Order. It will then be your responsibility to give security to the Office of the Public Guardian and to take out a bond. This is effectively an insurance policy which must be taken out. The deputy must pay the premium; however, it can be recovered from your loved one’s assets once taken out. Once the order has been issued and the bond has been paid, proceedings will end. However, you, as the deputy will still have ongoing responsibilities. These will not cease until the Order ends. The responsibilities involve you reporting to the Office of the Public Guardian annually, this report must include details of the decisions made on your loved one’s behalf and a financial statement each year. Failure to comply with these will mean that an order is issued from the court which will remove you as deputy. At Seatons we will be able to assist with any queries you may have about your responsibilities and the information required by the Office of the Public Guardian. We understand that this can be very daunting and we are here for you, we will ensure that you have complete confidence in the process and in the work we are doing. A decision made in the Court of Protection can be changed on appeal. You may want to appeal if you feel an unfair restriction has been imposed upon you. You may also want to appeal if, as an interested party, notice was not given to you of the Court of Protection order and you now wish to appeal the decision. Or simply you do not feel that the best interests of the vulnerable person are being wholly considered. For an appeal to be considered in the first instance a judge must grant permission. If a hearing occurs, this permission can be granted then. If there is no hearing, then permission can be granted in writing. If you wish to appeal a Court of Protection decision, you will not be alone. 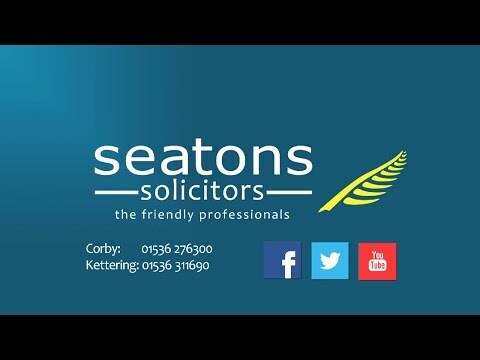 Seatons will guide you through the process and will work hard and go the extra mile for you. We understand that this can be a difficult time for your family and we work hard to ensure that the process does not alienate you. If you have been served a COP5 form, notifying you of a deputyship and you are unhappy, it is recommended that you seek legal advice before responding. Time is of the essence in these scenarios as you will only have 14 days from the date of service to respond to the application. Any objections to the Court of Protection Orders will be heard in a private hearing. If you have a loved one who can no longer make decisions and does not have a Lasting Power of Attorney, then do not hesitate to call us. We have a team of legal experts who will go the extra mile for you, the client. We are the friendly professionals and believe in eliminating the legal jargon to ensure you and your loved ones understand as best as possible what is happening. For a free, no obligation chat with one of our advisors, call us today on 0800 3 10 11 12. Hello, my name is Adrian Chambers and I deal with Court of Protection matters in our Corby office. If you need to make an application to the Court of protection on behalf of a loved one then I can help. All you need do is simply pick up the phone and give us a call on 01536 276300 or use our online enquiry form for a no obligation chat and we can take things from there.